It takes more than passion to sell clothes and accessories- find out how much more! 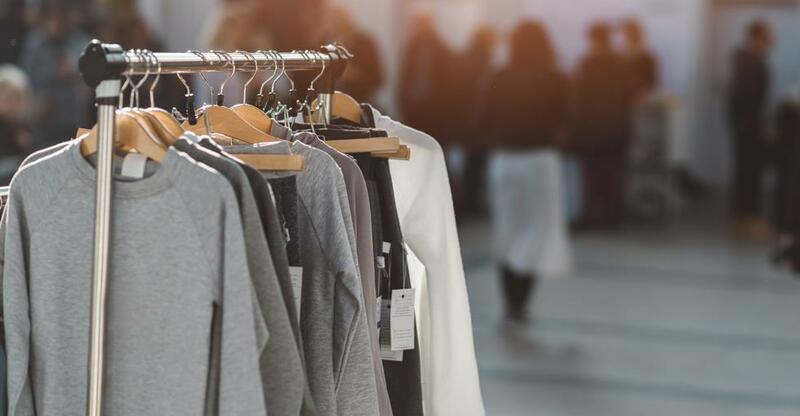 Running a successful clothes shop means stocking the right products, drawing the right customers, keeping up to date with your accounts and creating a good marketing strategy. The list of roles that you will have to do seems impossible but, for those who are fanatical about fashion and style, this can be a profitable business. It's important to remember that running a clothes shop is a sales as well as a managerial role. Bulk purchases can often make up a large percentage of the turnover of a successful business and your eye for the product, as well as your ability to combine clothes and accessories to fit the customer, is the key to selling a hat or handbag to go with a particular dress. But customers should also be able to choose their own outfits without necessarily needing your help, and this means laying out your shop in a coherent way. You need to be able to arrange clothes in such a way that customers can see not just one top to combine with a particular skirt, but several. You also need to consider which end of the market you are pitching for. It is important to know your customer and what they want. If your customers are middle-aged, it’s no good stocking clothes that are more suited to a younger audience. There's also increasingly an ethical dimension to how some consumers shop for clothes. Consider what kind of issues are important to you and your customers and have this underlie how you stock your shop- this will form part of your marketing strategy. An eye for a product that caters to your market is vital - whether your shop is based in a trendy urban area or a rural retreat. If you're operating at the mid or top end the market, procuring distinctive goods will help you differentiate yourself from the big names on the high street. Good contacts, an encyclopaedic knowledge of fashion trends, and a knack for knowing what will sell will help. At all levels of the market, your stock choices will need to be informed by current and future trends. The stock will form a huge chunk of the start-up costs - far more than if you're buying a newsagent for example. The first mistake buyers often make is not realising this. Even worse, it is an ongoing cost. Changing the stock is an expensive necessity in the world of fashion due to changing tastes and changing seasons. However, if you're passionate about clothes, are knowledgeable, have a coherent layout and keep abreast of trends, then you can make a very healthy turnover running a clothing retail store. To be a successful entrepreneur in clothing retail you need a head for figures, sales and managerial skills, and a passion for clothes. It also helps to have considerable experience in the industry, whether on the shop floor as a manager or meeting and negotiating with wholesalers. You will need to be able to market your store online and on social media and create a brand around your store if you want to be able to attract customers. Having a good idea of who your customers are and how to appeal to them will narrow down what kind of shop you should buy. Anthea Taylor is Content Producer at Dynamis and writes for all titles in the Dynamis stable including BusinessesForSale.com, FranchiseSales.com and PropertySales.com as well as other industry publications.